Das Best Western La Hacienda Inn ist ideal in Kaufman Stadtzentrum zu finden. Erleben Sie ein schöner Aufenthalt in der Nähe von alle Sehenswurdigkeiten. Bestpreisgarantie und exklusive Angebote. Genießen Sie einen romantischen Kurzurlaub und verwöhnen Sie sich selbst in unserer Whirlpool-Suite. Unser geräumiges Gästezimmer mit zwei Queensize-Betten bietet Ihnen einen komfortablen Ort zum Entspannen. In der Nähe unseres Best Western Hotels in Kaufman herrscht kein Mangel an Freizeitangeboten. Verbringen Sie den Tag mit der Erkundung des Flohmarkts von Canton, oder gedenken Sie der Veteranen mit einem Besuch der Vietnam Memorial Wall of Texas. Mit dem Best Western La Hacienda Inn treffen Sie die beste Wahl für Ihren Aufenthalt. Das nahe gelegene Texas Health Presbyterian Hospital ist leicht zu erreichen für Gäste, die Freunde oder Verwandte im Krankenhaus besuchen. Die Geschäfte der Tanger® Outlet Mall sind nicht weit entfernt, und die Umgebung bietet zahllose weitere Einkaufsmöglichkeiten. Ganz gleich, ob Sie auf Schnäppchenjagd gehen, Verwandte besuchen oder einfach entspannen möchten, unser Hotel bietet alle Möglichkeiten. Wir sind das einzige Hotel einer Hotelkette in Kaufman, TX, und genießen einen hervorragenden Ruf. Haustiere sind willkommen. Gäste können also die gesamte Familie in unser Hotel in Kaufman mitbringen. Angrenzende Zimmer und die Nähe zum Krankenhaus machen uns zu einer familienfreundlichen Anlage. Das morgendliche Frühstück können Sie getrost uns überlassen. Unser kostenloses komplettes Frühstück umfasst jeden Tag heiße Waffeln, frisches Rührei, Wurst, Biscuits & Gravy (Brötchen mit Soße), verschiedene Sorten Obst und Gebäck, Müsli und Cornflakes, Joghurt und 100 % Arabica-Kaffee sowie kalte Säfte. Ganz gleich, ob Sie die Natur genießen oder ein Sportevent erleben möchten, in der Nähe dieses Hotels in Kaufman, TX, gibt es zahlreiche Freizeitangebote. Golf ist ein weiterer beliebter Zeitvertreib, und nahe gelegene Golfplätze bieten viele Möglichkeiten, Ihren Golfschwung zu trainieren. Eine echte Besonderheit sind jedoch die Paraden, die jedes Jahr hier stattfinden. Genießen Sie kleinstädtischen Charme und beste Unterhaltung während regionaler Festlichkeiten, zum Beispiel zum vierten Juli. Geschäftsreisende, die in der National Guard Armory, Falcon Steel Company oder im Krankenhaus zu tun haben, entscheiden sich ebenfalls oft für unser Hotel in Kaufman. Wir wissen, wie anstrengend eine Geschäftsreise sein kann, und möchten Ihnen darum Ihren Aufenthalt etwas erleichtern. Unsere Südstaaten-typische Gastlichkeit und der freundliche Service machen jede Reise zu einem besonderen Erlebnis. Reservieren Sie noch heute Ihren nächsten Ausflug! We stayed one night at this hotel. The bed and pillows were so comfy. The yogurt machine was nice. Great staff. Love all the remodeling done. Beautiful deco. If I am ever find myself in Kaufman, TX again, I will be staying here. Go66929955929, On behalf of my entire team of Best Western La Hacienda Inn, we would like to thank you for your wonderful review and for noticing our recent updates that we have made to our hotel. It is wonderful to hear of the great impression we made with our pillows and decor as well. We can't begin to tell you how much we appreciate your five star review, and we can't wait to serve you again! Thank you so much for your feedback and kind words Inspire04214954044. We greatly appreciate that you've taken the time to tell us what a wonderful impression our breakfast service, rooms cleanliness and you see it as a good value for your money. 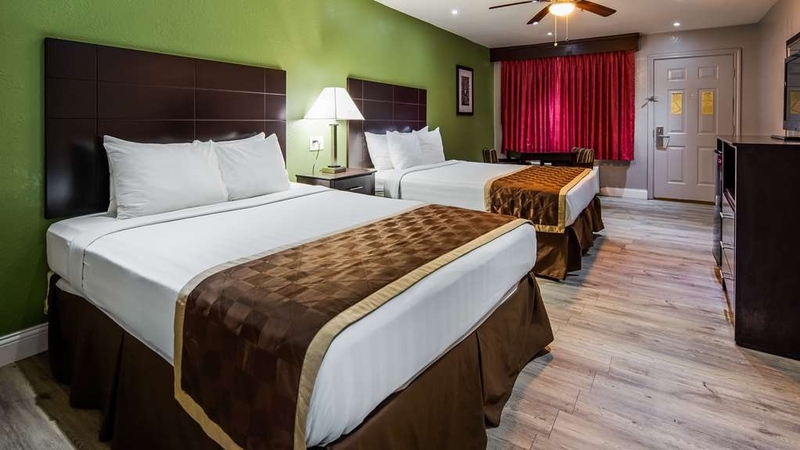 We hope to impress you again during your next visit and we thank you for sharing your five star experience here at the Best Western La Hacienda Inn ! Sightseer06587529767, Thank you for your high rating of our hotel and for taking the time to share your experience! We are overjoyed to discover the positive impression with our staffs hospitality and our waffles as well. We are overjoyed to hear that you had a great time with us and we are looking forward to your next visit! robert m, On behalf of my entire team, we would like to thank you for your wonderful review and for noticing our recent updates that we have made to our property. Our ultimate ambition is to provide a five star experience, and we are thrilled to learn that we have succeeded. Great to hear that you enjoyed the breakfast as well; and we are looking forward to your next visit to the area! We were charged for our stay when we used our points for our room. The front desk clerk was not helpful in rectifying the situation. In fact she kept putting the blame on me saying I didnt have enough points that's why I was charged. Katie B, Thank you for sharing your experience, and I'm sorry to learn that you did not fully enjoy the service, accommodations and hospitality that we hold to such a high degree of importance in our hotel. I deeply regret to hear that our staff were unable to successfully address the situation. Please feel free to contact us if this situation has not been resolved to your satisfaction. Hope you'll come back to see how we've grown through feedback like yours. Maribelc56, Thank you for taking the time to let us know how you enjoyed your stay at Best Western La Hacienda Inn Hotel. It is great to hear from you and I am so glad that you enjoyed our staff courtesy and have taken the time to recognize the hospitality and care that we aim to provide for each and every guest. We are truly pleased to learn that our team member provided excellent service to you your family. We welcome you to visit our hotel again in the near future. Have a great day! tsimmons361, Thank you for taking the time to share your feedback and to acknowledge the efforts of our hardworking staff to be as accommodating, helpful and welcoming as possible. It's good to hear from you and we greatly appreciate that you've taken the time to share your five star experience at our hotel! We would love to have you back and we do hope to see you again soon. 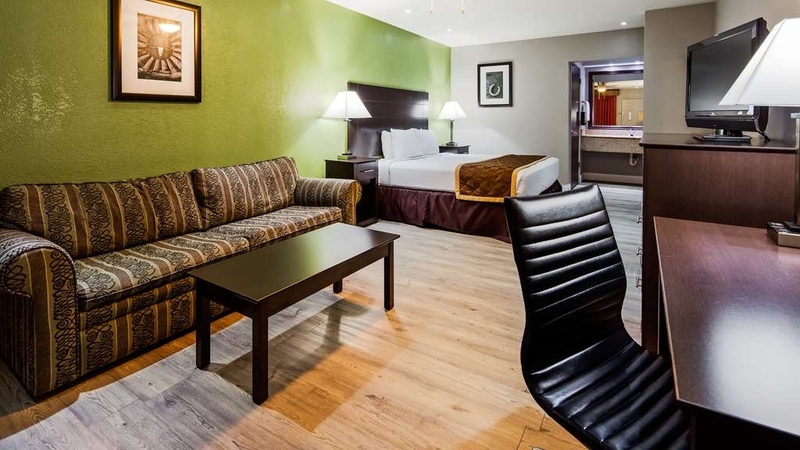 "great stay for my business trip"
jw9859351, Thank you so much for your feedback and kind words regarding the five star service and accommodations that you received during your most recent stay of Best Western La Hacienda Inn Hotel. We are excited to share this review with our staff who will be pleased to hear of the outcome of their efforts to make you feel comfortable. On behalf of our entire staff, we thank you for your business and we hope to see you again when your travels bring you back to the area! Everything was great. It was small area and quaint. No noise and peaceful. Check in and check out was just right . The security light at best western are bright and on all night. It was nice that we get to park out side of my room. Dear laura h, Thank you for taking the time to let us know how you enjoyed your stay of Best Western La Hacienda Inn Hotel. Our ultimate ambition is to provide a five star experience, and we are thrilled to learn that we have succeeded. 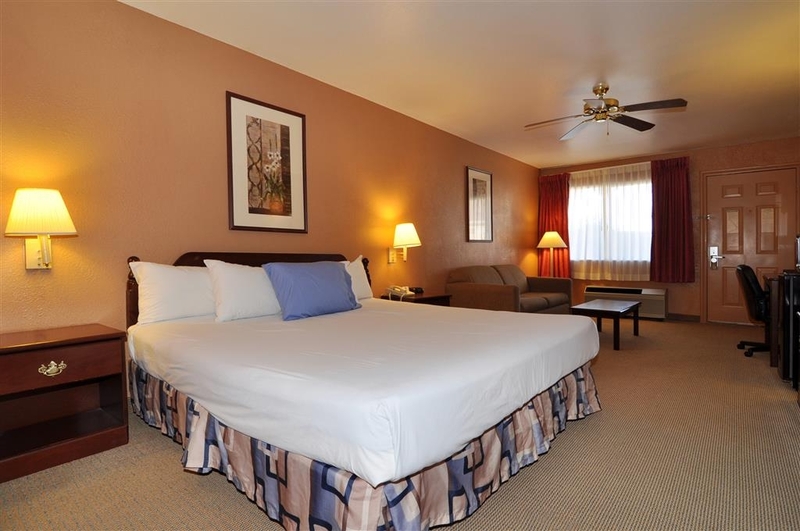 We are glad your stay was comfortable and we look forward to your next visit! Dear randi l, Thank you for leaving your five star rating of our hotel. I am so happy that you enjoyed your stay and that you found the accommodations and service to be satisfactory. We're glad you had a great time with us and we look forward to serving you again. "Too many dogs and unreasonable management "
Booked for 3 nights to do the Caton trades day thing. Room was OK but each evening people were "tailgating" in the parking lot complete with grills and dogs. I was awakened on the second morning at 5:00 am with large dogs barking incessantly until about 7:30 am. I decided to move on and not stay the 3rd night and was told by Expedia it was up to the hotel to determine if the would cancel the 3rd night but the hotel refused so I cut my losses and left anyway. I would not recommend this hotel at all. Monty M, Thank you for letting us know about the inconveniences that you encountered during your recent stay at our hotel. I want to apologize for the noises that disturbed your rest. We want you to enjoy a peaceful and comfortable stay, but we cannot control over the dogs noise. I hope you will accept our sincerest apologies for these difficulties, and I thank you for bringing the matter to our attention. We understand that you are hesitant to return based on this experience, though we hope to have another chance to impress you in the future. "Keep Driving, on to the next location"
Lighting upgrade poorly done, so much so that the flickering would give you a headache. Toilet seat was broken, the carpet was old and stained, security locks missing parts, used chair as deadbolt. I was awoken by a crawling friend. The only good thing was the water pressure was great and there was plenty of hot water. Thank you for sharing this experience with us. We truly value you feedback with regards to our toilet and security. We hope to see you again in the future and to impress you with the continued improvements we make. we have stayed here many times and will continue to stay here. I tend to be a little colder when I sleep I just called the office and asked for another blanket and it was no problem. The staff is always so very kind and caring. We have high standards of hospitality and service and we strive to give you the best experience at the best value. Thank you so much for the insight regarding our staff. Please do come see us again. This was very surprising. I have stayed at this property before and the people at the front desk are always very nice people. Good hard-working Americans. At check in my wife's bed pillows had somebody else's hair on them . Before I left the hotel in the morning two cockroaches, two ants, and something I couldn't identify, we're all on my bed, in my bed with me. This type of situation may be acceptable in India, but we are in Texas. We appreciate the time you have taken to give your feedback on your recent experience, especially with regards to our bed and pillows. Your voice is very valuable to us and we hope you will return to experience the improvements that we are continuously making. Steven W, Please accept our sincerest apologies for the bathroom issues that you encountered during your stay in our hotel. Know that your voice is of tremendous importance to us and we are confronting each of the issues that you mentioned to ensure that no guest has this experience in the future. Thank you for bringing this matter to our attention so that we can make sure no future guest experiences the same inconvenience. 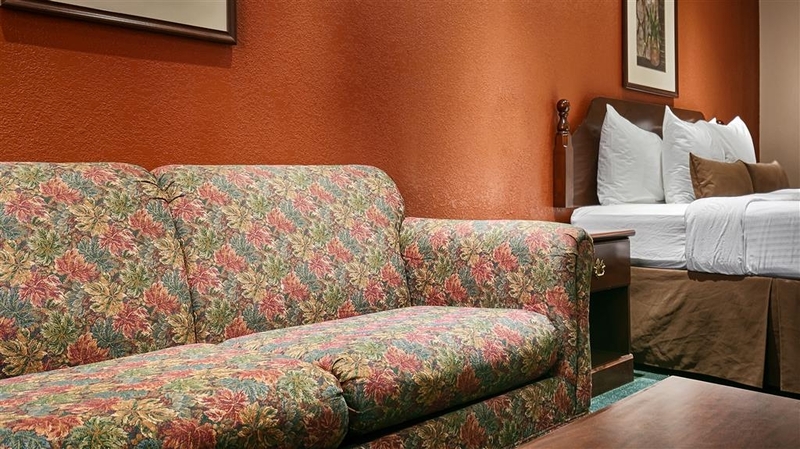 "BW LaHacienda Inn, Kaufman, TX"
Nice, clean, family-oriented, friendly hotel with exceptional employees that make you feel at home. Would recommend this town of Kaufman, TX and this hotel to all traveling. I stay here twice or more a year, and always feel safe and comfortable in this hotel. Karen B, Thank you for taking the time to let us know how you enjoyed your stay at the Best Western La Hacienda Inn Hotel. It is very rewarding to hear your perspective of our hotel and we appreciate that you have acknowledged our efforts to provide a clean, comfortable, and hospitable experience. We're glad you had a good time with us and Our team will be waiting for your next return for another well-deserved break. The front desk staff "Tommy" were not accommodating at all. The hotel is in a fine location if they only were accommodating. This has given a bad name to all Best Westerns. This used to be my favorite hotel chain. Not anymore. tulsaphotography, We are very sorry to hear the unprofessional act of the clerk. We already informed the management about this for necessary actions. We value our customers well and we apologize for mistake of the clerk. We assure you that this is not to happen again. Glad you found our location to be convenient, and I hope you will find your expectations to be far surpassed during your next visit! The office staff and housekeeping were very friendly and helpful. Room was clean and bed was comfortable. 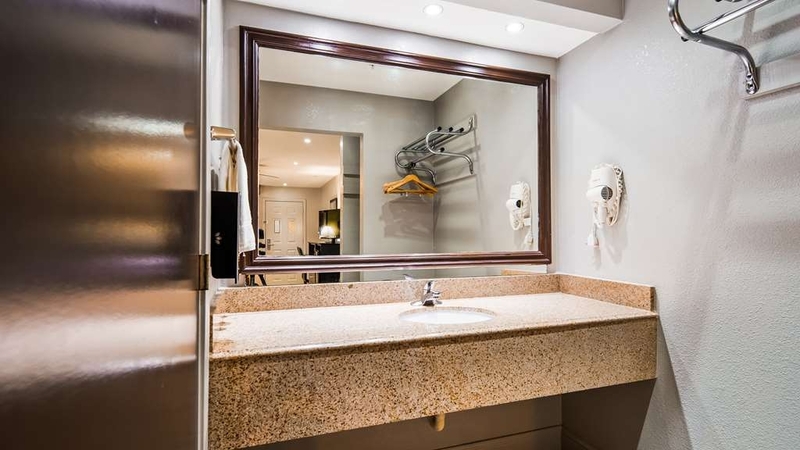 Only complaint is the dim lighting in room especially over the vanity/sink area. No table lamps by bed or on desk. 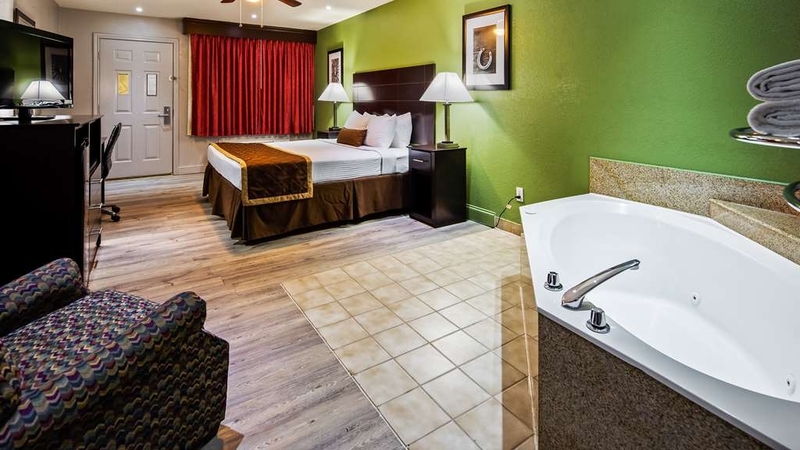 jackiegH6988RV, Thank you for choosing Best Western La Hacienda Inn Hotel and taking the time to write a great review about your experience with us. It is very rewarding to hear your perspective of our hotel and we appreciate that you have acknowledged our efforts to provide a clean, comfortable, and hospitable experience. 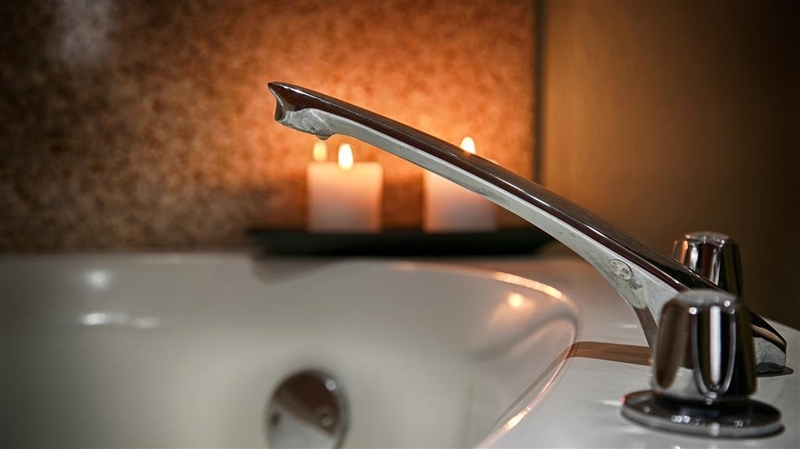 We also appreciate your ideas for improving on our amenities, and we look forward to serving you again! 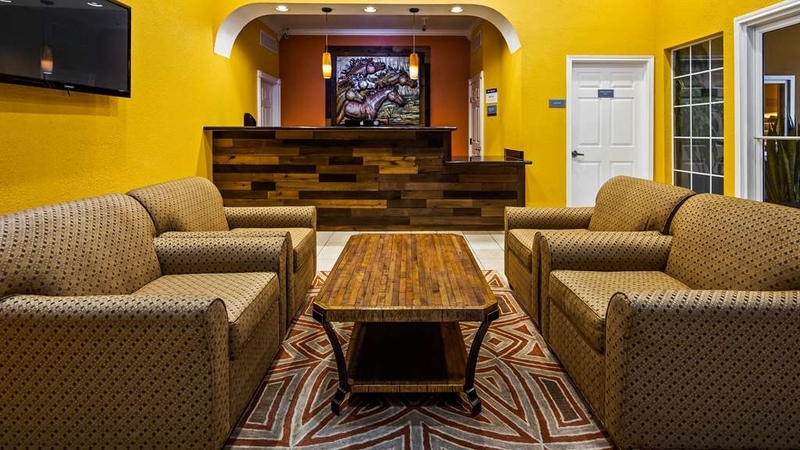 kathykQ1833MF, It is great to hear of how you enjoyed the value and the convenient location of Best Western La Hacienda Inn hotel! Our ultimate ambition is to provide a five star experience, and we are thrilled to learn that we have succeeded. Thank you for your kind feedback and we look forward to your next visit. "Clean and comfortable room. Breakfast was limited. Worth the price!" 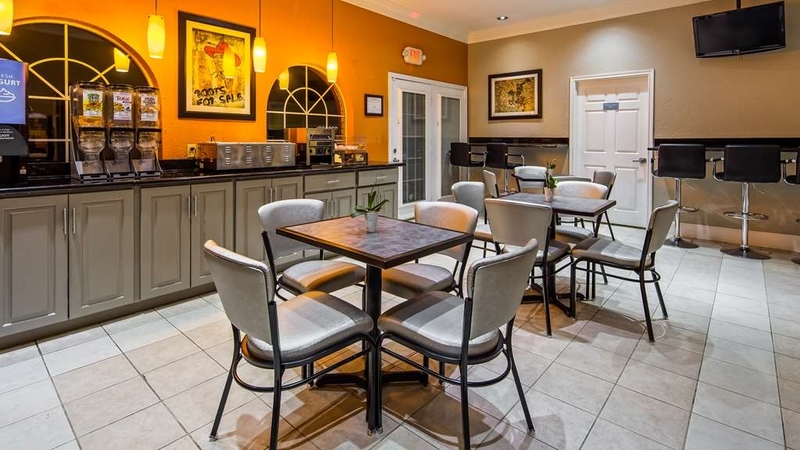 I generally stay at Hampton Inn, Hilton Garden Inn or Holiday Inn Express but those were not options in Kaufman, so I booked my stay at this Best Western. 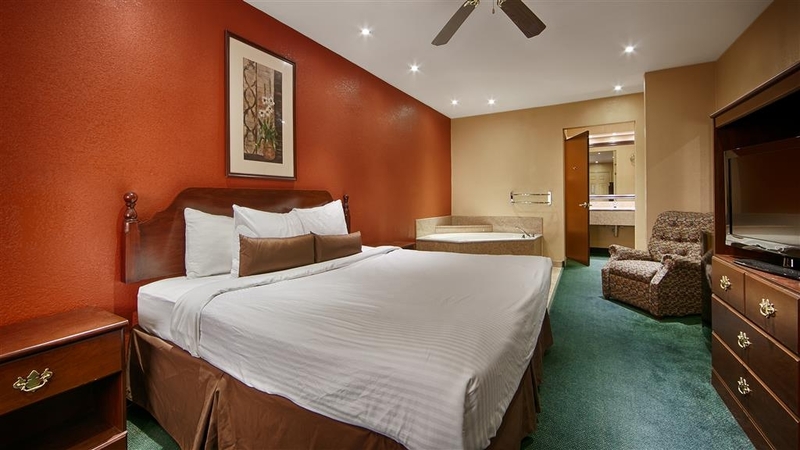 The rooms are newly renovated, clean and comfortable. I was not interested in the breakfast offerings, but there is a Whataburger next door--and a Walmart behind the hotel so there are other options to find food. There is obvious pride in ownership here and if I had it to do over again, I sure would! 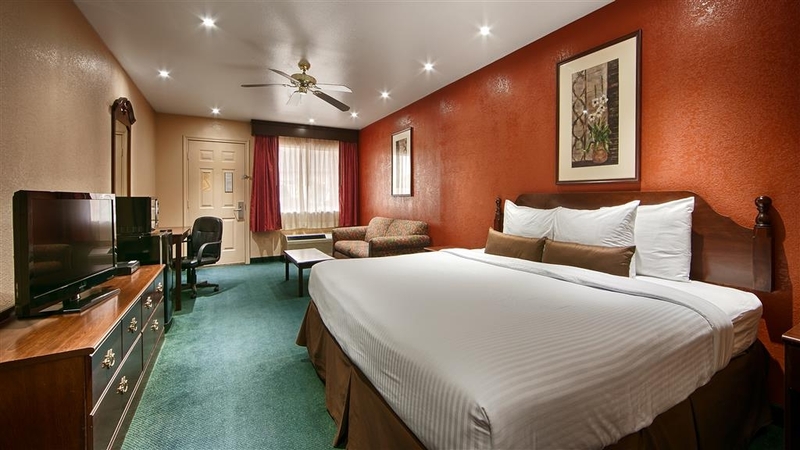 Midwest416, We are so glad to know that you had a great time with us and thank you so much for appreciating our efforts of providing you with clean and comfortable accommodations in a reasonable cost. We would love to have you back and we do hope to see you again soon. Dear dakotap299, Thank you for leaving your five star rating of Best Western La Hacienda Inn hotel. I can't begin to express how much it means to our management and staff to hear from guests like yourself who have found our accommodations and services to be so welcoming and convenient throughout the years. On behalf of our entire staff, we thank you for your business and we hope to see you again. "Friendly staff, good for dogs"
This is a small, one-story, brick motel. Staff here is very friendly and helpful. Gentleman ran over to room to turn a/c on while we checked in so it would be cool sooner for us. Park-like area behind hotel that's great for dogs. Poor breakfast. Dear kurtzie2017, Thank you so much for your kind compliments to our staff. On the other hand, I am sorry to hear that you did not thoroughly enjoy the breakfast , and I want to let you know that we take your suggestions to heart and are reconsidering the available choices. We look forward to serving you again! The clerk was very friendly. I appreciated how he told us to have a good day each morning when we left the breakfast area. The room was comfortable and had everything we needed. The air conditioning worked and was necessary for a summer stay in Texas. The bed was a little on the firm side but I still slept soundly. Dear Lynn S, Thank you so much for your feedback and kind words regarding the five star service and accommodations that you received during your most recent stay with us! I'm glad that our services, hospitality, and accommodations exceeded your expectations and hope that you experience the same comfortable stay during your next visit! Thank you so again for the compliments to our staff, and do come back soon. When we arrive at the hotel the room was clean and fresh. The towel was stock as per our request , We call the hotel few days before our arrival to make sure we have extra towel and they took care of it and we was so happy that our stay going to be pleasant. Thank you staff for the great work. For five star review Thank you so much for sharing your review and giving us an honest look at the guest experience in our hotel. 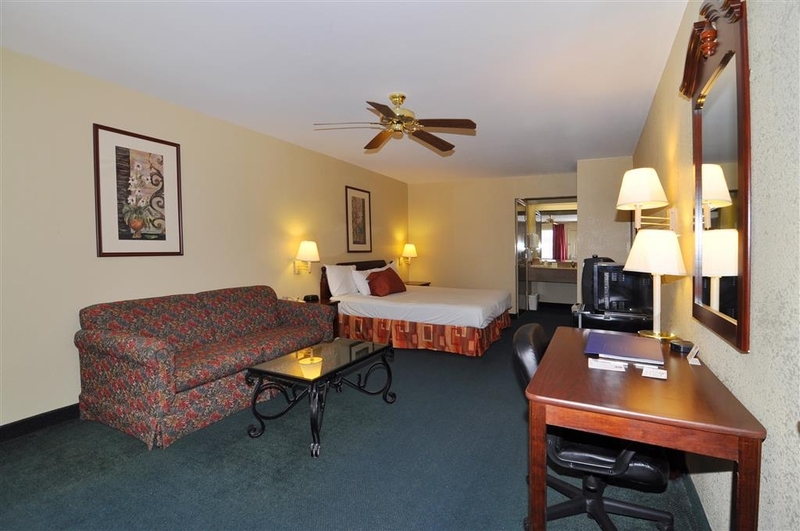 I am glad that you enjoyed the value and the convenient location of our hotel! We are delighted by your compliments, rating and review of our high housekeeping and hospitality standards. Your five stars review is greatly appreciated! We are so glad that your stay was enjoyable and we look forward to seeing you again! I nees to stay in kaufman for two night because of a medical procedure i was having done. I was needing more pilllow and towel and fhe staff was on top of it. Julie was soo nice and caring i was surprise. The room was clean and the bed was very comfortable. Had a pleasant stay and breakfast had a great selection to choose from. Staff was very helpful and pleasant. pool and hot tub looked clean. 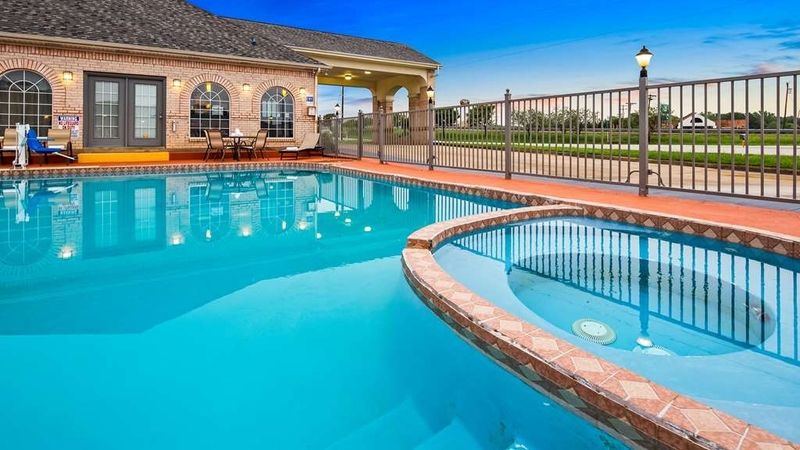 Located withing walking distance of plenty of stores and restaurants. hello guest thank you for your reviewing our hotel, Your comfort, cleanliness and convenience are our top priorities, and we thank you letting us know how we have been successful in our efforts to impress you. Thank you for taking the time to share this five star experience with our management, staff, and future guests. We greatly appreciate the time you've taken to rate our hotel and we look forward to your next visit. when we arrive at 1130am and the check in time was not until 3, the fornt desk person told us that we have to wait and we can have a seat in lobby. the few minute later manager tommy came and ask us if he can be help to us and we told him about the check in time. he personally went to housekeeping and help the housekeeper to make the room and get us in the room. while we wait they bake some fresh cookies for us. and that was special . thank you best western team. Thank you so much for your compliments to our breakfast options and service. We are so glad to know that you had a wonderful time with us and that you find great value in staying with us. We always aim to give you the best value for your money and we are so happy to know that our efforts are well received. Your five star review means a lot to us, and we thank you for taking the time to share it. "Not well pleased with my stay"
I found it very dark in the room because of small recessed lighting only. There was no table lamp or floor lamp anywhere in the room. I complained and was told they have ceiling lights only. I was unable to read in the room. Floor in lavatory area had not been vacuumed but don't know about rest of room - too dark to see. One wash cloth looked like it had been used to polish a brown shoe. The clock beside the bed was not working. I knew the breakfast bar did not open until 6:30. Thought I might get a cup of coffee as I was leaving at 6:15. Knocked on front door of motel, rang bell, BB lady came out, did not open door, pointed to sign saying BB didn't open until 6:30. Did not offer the early morning "to go" breakfast. I have stayed in other Best Westerns and this one is not Best Western quality that I'm familiar with. When we checked in the hotel at 4 o'clock in the morning the front office person was fast at the check-in process and he saw us tired he offers soft drinks and water and also give some snacks to the kids. Since every thing is close. Breakfast person was also caring just like granny. We going to recommend to our friends. "Wish if they have heated pool"
We travel with family and kids, I wish they had heated pool so kids can have fun on there trip. Breakfast was great and waffle in shape of Texas with heart was perfect for kids. I will come back to this hotel in my future stay. hello V4498IKdenisec, thank you for your feedback. we are happy that your kids enjoying full hot breakfast in the morning. hope to see you soon. Although, a little away from dallas city center, we chose same; as it was suiting our purpose. own transportation, would be a recommended point. Hotel has good breakfast. 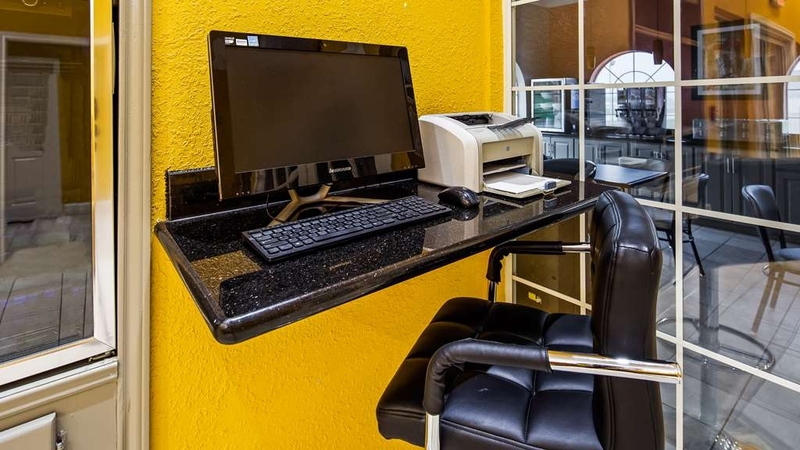 Offers complimentary wi fi. Staff is courteous & well mannered. We stay at this motel for funeral and the staff made us feel welcome and they took care of our need. even they help us setup up family gathering in the evening. Room are clean and fresh and housekeeper were helpful too. We want to thank hotel for having us. This place is in need of a huge remodel. Plus management does not care about complaints and seems to act as if you are a bother. Called corporate really no help. Will never ever stay there again. Will be staying in Tyler at the Hampton! To start off, I arrived shortly after 10 pm. Apparently, they lock the lobby at 10 pm. So I waited in the area outside the lobby for almost 20 minutes to be checked-in only to be told that the room was $9 dollars more than the original booking and they could not get their credit card machine to work correctly so I would need to come back to the office in the morning. Once I got to my room, the air was completely turned off and the windows were left completely open. The faucet in the bathtub had a horrible leak that I could not get to stop. The room had no lamps and horrible lighting. The room was horribly kept. I stripped back all of the sheets and blankets to check to make sure they were washed. Fortunately they did appear to be clean. The next morning when I went back to office to pay the extra $9 dollars I owed, I was meet my the man in the room next door and his large pitbull that was not leashed and not under his control. When I made a complaint to the front desk about the dog and the room conditions, the man at the desk looked at me and said "so?". This is the worst hotel experience I have had to date. I am here on business and stayed at this Best Western. 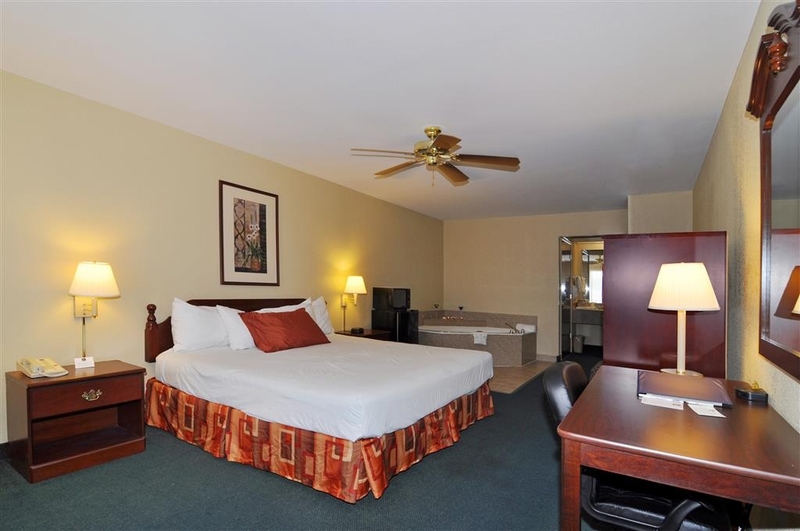 It is very clean, comfortable, and has newly remodeled rooms. The owner and staff are pleasant. Short drive from Dallas and worth the price difference. Will be staying here again for next job. I was in a handicapped room because that was all that was left. The room was very clean, and the staff was very nice. The breakfast was good but the selection was average. But for free breakfast, I was happy. Had a one night stay at the Best Western on east 175 in Kaufman in May 2016. My room had new carpet and paint. The bed was comfortable and the room was clean. The night stands were a bit worn, but otherwise the room looked fresh. The love seat sized couch looked and felt new. The room had standard amenities plus a ceiling fan which was nice. They also had a toothbrush and toothpaste plus shower cap included in the bathroom area. Everything electronic worked. They feature DirectTV and a small flat screen tv. Overall for a two star, small town place this was pretty nice. When I pass back through I'll stay there again. I registered at this hotel for 2 nights and only styed 1 because the sheets were stained and I found a live bed bug in the middle of the night and 2 others that were dead. The sheets were clean, but stained in a few places. No lamps in the room and the overhead lighting was not very good. First and last time at this hotel. Clean rooms. TV channels not working. Heating unit in one room didn't work, but it was quickly replaced. Noise from road was terrible. Breakfast was not better, or worse, than most other places that I have stayed. Upon our arrival for check-in, the desk clerk was wearing a shirt that looked like he must have been changing the oil on his car before coming to the desk. That got our entire stay off on the wrong foot. Thank you for your review and feedback. the uniform was worn by our maintenance personal and he was doing front desk and room check. i really apperciate that you both your concern to us and we are goign to take this taken care ASAP. Thank you again for sharing your feedback, and I hope you enjoyed your stay!! "From Athens TX> to home." A friend and I went to Athens Tx. to look at Park Model trailers and saw the sign on the highway. 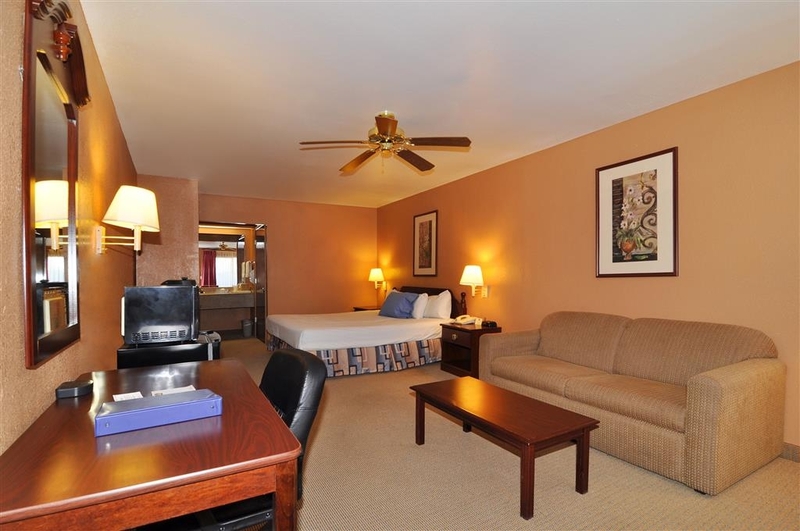 I like Best Western as the rooms in my last 11 stays have been spacious. 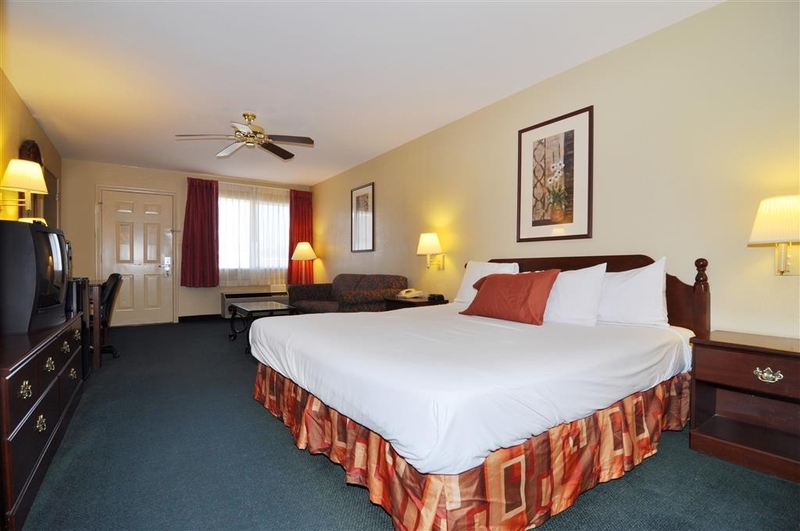 This particular location was a motel, there is a lot of construction on U S 175, on the service road in front of motel and a little noisy from the traffic but the price and location well make up for every thing else. It was clean. The bed was a tad firm. The light bulb in the bathroom flickered the whole time it was on. I would've reported it if I had to do anything but sleep there. The cleaning staff should've known it. 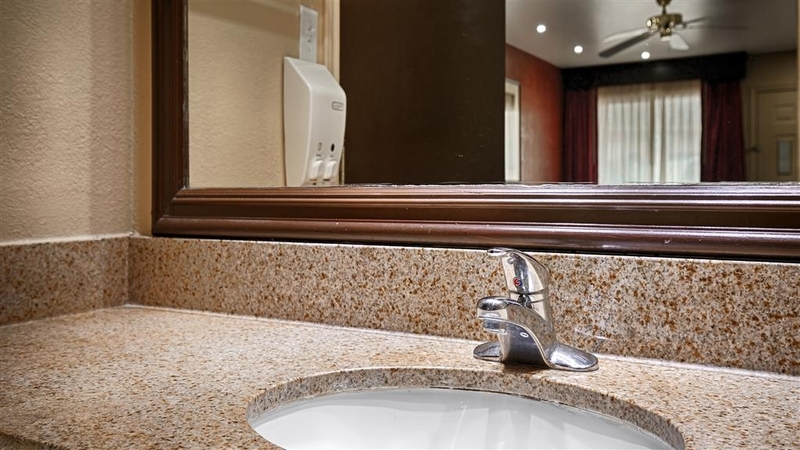 "My stay at the Best western in Kaufman, Texas"
Ho hot water at the sink so i turned it on and everything was ok. No cover over bathroom powered vent. Door to bathroom would not close and latch. Various lights in the room appeared to be LED but did not work., Was really disappointed that this is a best western but it was not maintained in the quality i have experienced at the other Brst western hotels. "Great stay and friendly staff"
I enjoyed my stay at this facility. It is right off Texas State Highway 175 with easy access and is a great stopping point from OK City, OK to Houston, TX. All rooms open into parking allowing easy loading and unloading. 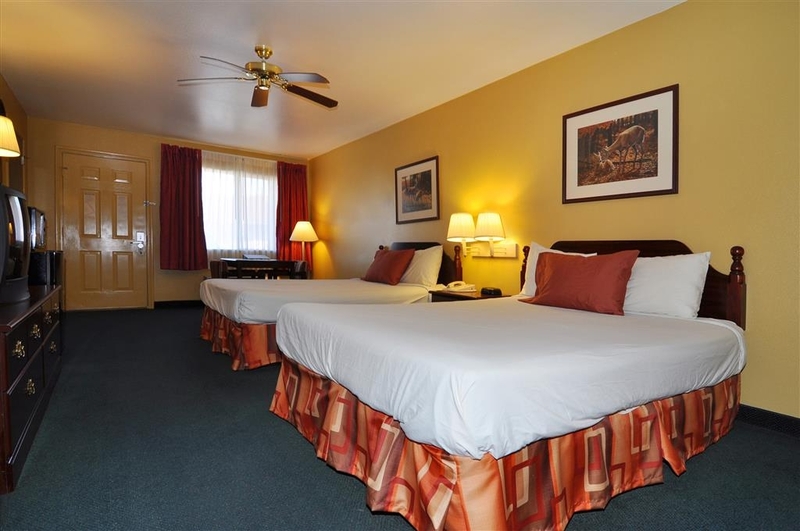 This motel is a great value and the staff works hard to make your stay pleasant. My husband and I stayed 4 nights we got a multi-night discount and Tommy let me use a $25 gift card to make the stay even more affordable. We went to the Texas Motorplex for NHRA drag race and it was a 45 min. drive away, minus traffic as one leaves the Motorplex. Many motels closer to the track raised their rates for the event. not this motel. We were upgraded to a room with a couch, coffee table, it had a microwave and fridge and a comfortable king size bed. Since we stayed multiple nights we liked the convenience of driving up to the door because of bringing a lot of stuff we could unload easy. Would gladly stay again. Excellent location, breakfast, rooms, friendly, helpful staff. I stayed in a very nice room and it was the nicest room of any Best Westerns I have ever stayed in. You feel comfortable, safe, and at home at this hotel. Obviously not the Ritz-Carlton, but for a small-town motel, it was more than adequate. 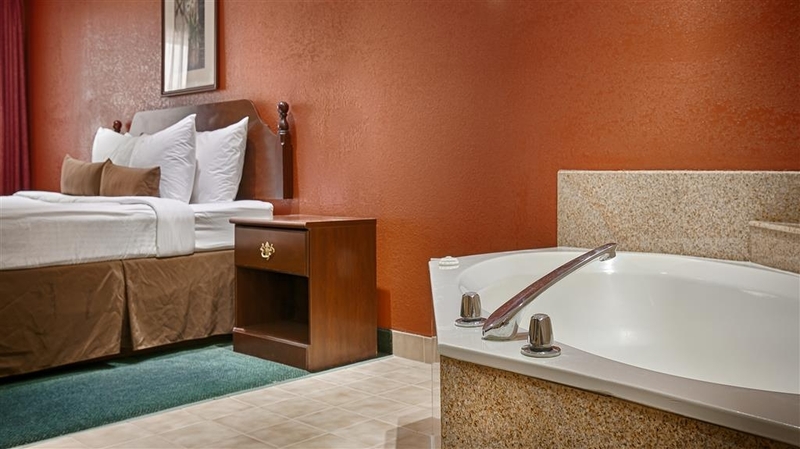 The room was spotless and spacious, the king bed was very comfortable, and the wireless internet was fast. One nice touch was finding the TV remote in a sanitized bag. A 24-hour burger joint is one block east, a convenience store is one block west, and a Wal-Mart plus several specialty stores is one block south. Freeway access is easy, but watch for 2-way traffic on the access road. The free breakfast was just average, but filling. Would definitely stay here again. "Horrible Customer Service and Lack of Cleanliness"
***UPDATE 9-27-15*** I waited quite a while before writing this. We stayed at the hotel on June 19th, 2015 and the Kaufman Hotel double charged me when they could not find my reservation. It is now September 27th and I still have not been credited for my stay. I finally just filed a dispute with the credit card company and left another message for BW customer care. I would like to point out that since June 19th I have stayed roughly 38 nights in hotels for my business travels. NONE of them have been Best Western. I have had great luck at Hampton Inn, Hilton and Last week I just stayed at Loew's Minneapolis and it was very nice. 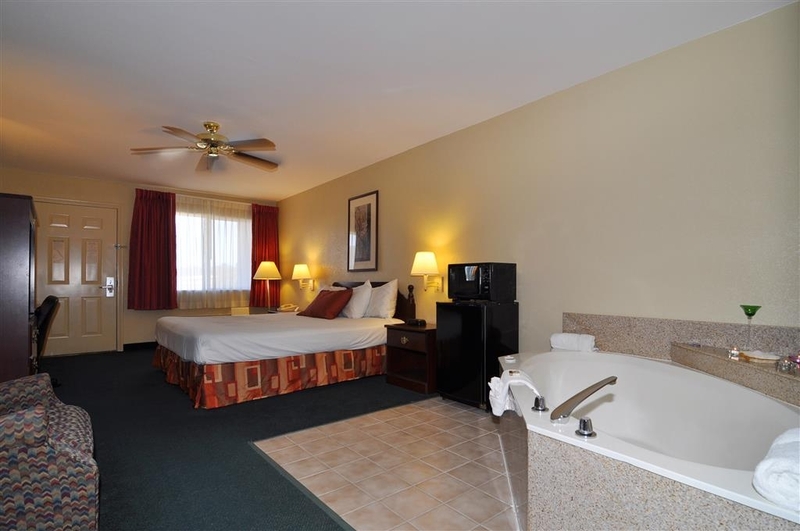 Best Western has really taken a dive and I cannot recommend it to anyone anymore. 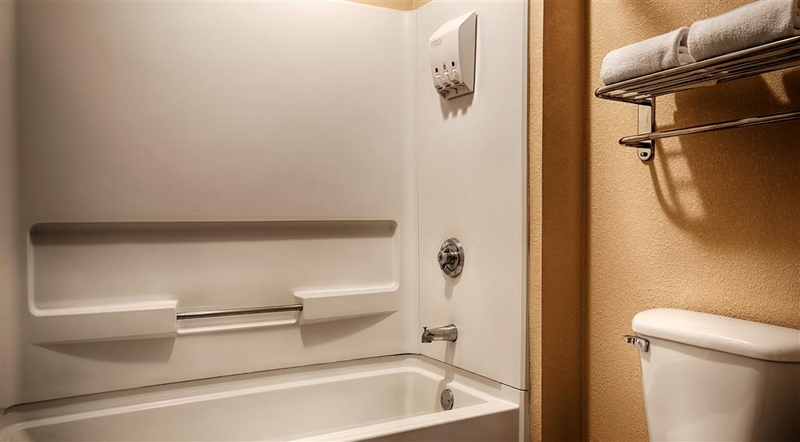 *****UPDATE***** You can find incredible Best Western properties that are clean and deliver service on par with the more elite hotels all over the Pacific NW. In our family travels in the Pacific NW we became platinum members with BW due to this. Now with AirBnb coming on scene we book almost all of our family travels with Airbnb (and some of my business travel when possible.) However while we did have fond memories of BW in the Pacific NW we have found that the same standards found in the Pacific NW do not transfer to BW in TX. In the last few years I have stayed at Best Western 3 times. One night was in Houston and the hotel was so disgusting I checked out and paid again to stay at an Hilton location I found about 2 blocks away. Seriously the place was filthy disgusting!!! The second time was at a nicer Best Western in Arkansas to burn through some reward points that were just sitting around getting stale. This hotel was fairly nice, and would consider staying again to burn through points. Then there is tonight. We decided to come see some friends and stay the night in Kaufman, TX. Granted this is an extremely small country town with lower standards than you would find in the city, but it is a country town and after all country equates to a great work ethic and service correct? Well not so at the Kaufman BW. First, I wanted to use some surplus points for the stay, but for some reason that was not available online so I had to pay - no biggie only $100 - things are cheap in the country. Then we arrived at the Best Western Kaufman. 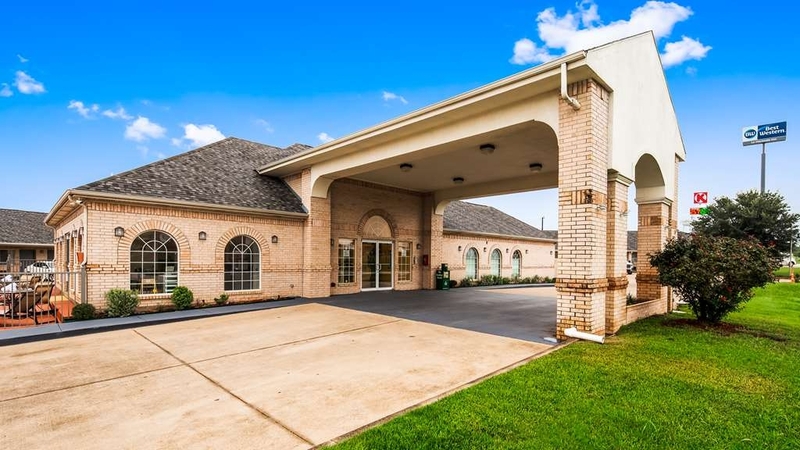 It should be noted that there were no Airbnb properties available in Kaufman, TX as I checked and the other two hotels in the area looked extremely seedy - even online where everyone posts their best pictures. So those two were definitely out! So the only hotel left was Best Western Kaufman. 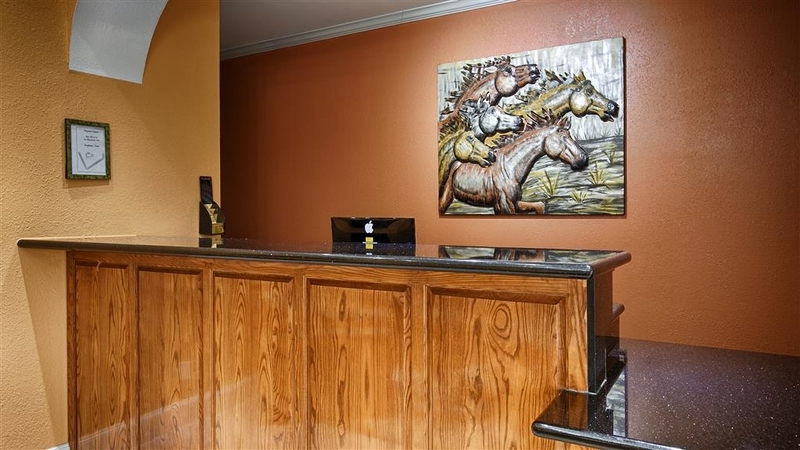 At the Best Western Kaufman all customers are treated as if they are criminals (or at least that is the impression you get), as when you arrive late you are not allowed in the lobby. You have to stand in the little room and talk to the receptionist through a security window. Oh and there is no AC in this entry room. You stand there dripping in sweat while the receptionist enters all the information into the computer from the comfort of the lobby with AC. You can see the cool lobby through the locked doors, but you are not allowed there.... You can only look. Oh and that reservation you had? They don't have it. So you have to stand there and sweat some more while they look to find you a room. It is June, almost July, and it is hot and HUMID. Luckily they had a room they could put us in! Thank goodness, I could not wait to take a shower and cool down now that I was dripping with sweat. The way they perceive their customers maybe low class, but you get what you pay for right? Well, we got to the room and it was hotter than hell!!! 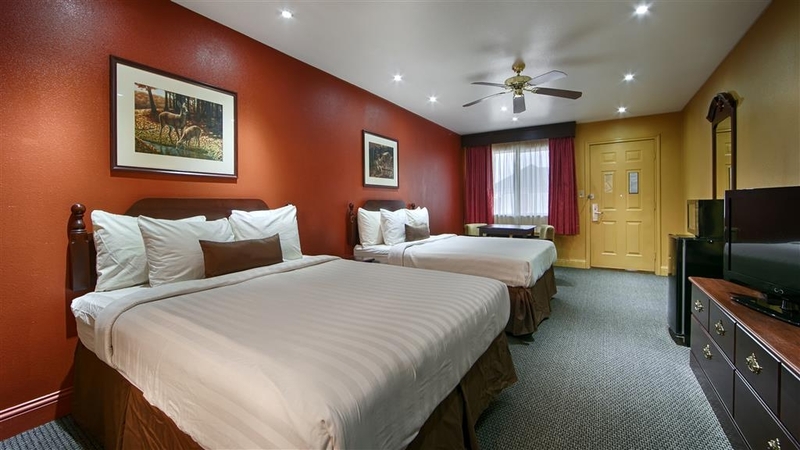 Most hotels keep the AC on so it is cool when you arrive, but who cares about customer comfort at Best Western Kaufman when you can save a few pennies on electricity. Maybe had they not have lost my reservation, I would have had a cooled down room waiting for me??? I would also like to point out that the room is not very clean and the toilet is DISGUSTING. I took pictures and will post them for everyone to see. I really don't care that the place is old, that hotel doors face out to the street like a seedy establishment, or that it definitely could use a remodel. 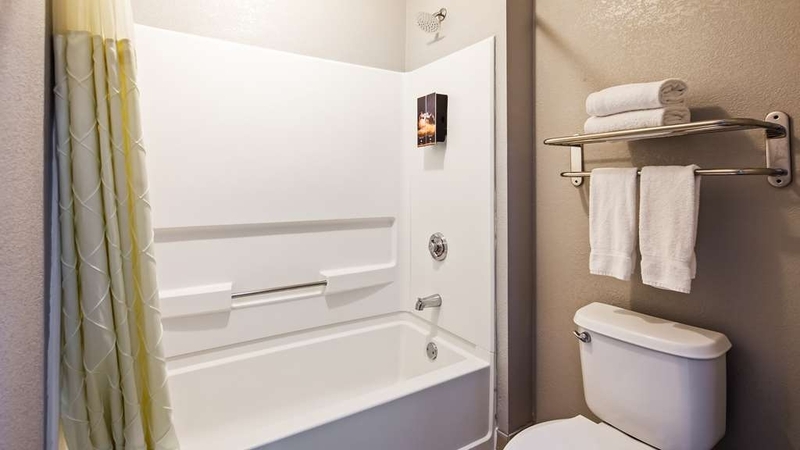 Those things are a judgment call to be made by the hotel owner and quite frankly they may not have the money to do these improvements... And you are only paying $100. HOWEVER, it does not cost anything.... Zero dollars, to deliver exceptional service and to hold yourself to a higher standard demanding cleanliness from all staff. Especially when you are in the hospitality industry. The fact that this hotel is dirty, the toilets are disgusting and whether they mean to or not, they immediately send you a message that says "We don't trust you and we don't care about you," by making you stand in the sweltering heat in the entry while they check you in, it shows this hotel owner is lazy, apathetic or just a horrible business owner that has no business being in business. If I treated my customers in Highland Park, Frisco or Southlake this way I would be eaten alive and would be out of business in a second. You CANNOT drop the ball on items that cost you NOTHING. I will never judge anyone in business based on items that cost money as we all had to start somewhere, but as a business owner you are pathetic if you do not strive to deliver the highest level of service and cleanliness. It costs nothing and it shows how lazy and/or out of touch you are. That being said, I cannot recommend this hotel to anyone. I would have rather spent the $100 on a tent and taken my daughters camping. At least then we would not have fear catching something by sitting on the dirty toilet! We have been here almost two hours now and the room is finally cooling off.... So that is a plus! Unfortunately BW Kaufman can stay horrible as there is nothing out there to make them up their game. My advice would be to drive through Kaufman and stay somewhere else. Since this was the only "nice" motel in Kaufman, it was recommended. 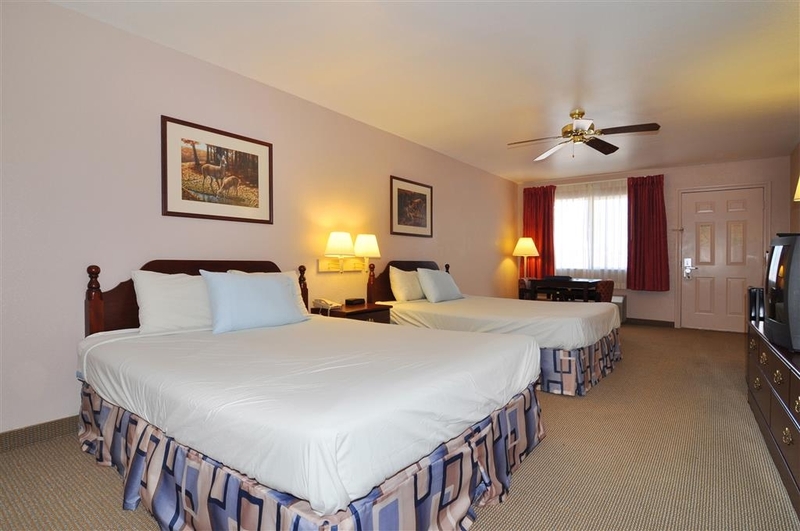 The staff was very pleasant and the rooms were very sufficient. Certainly not a Five Star, but the price was reasonable and we would certainly stay again. I was very happy with the breakfast, and the over all stay was pleasant. I had some work I had some work I had to do business related , I needed some staples pins at 1:30 in the morning and the Tommy with a smiling face gave it to me in the middle of the night. 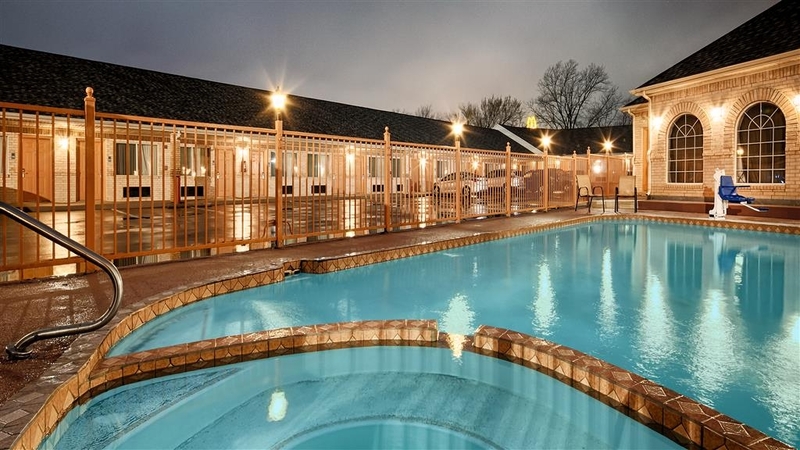 "nice pool in small town"
i stay alots of best western but this one had good size pool and employee was soo nice to us. they gave water gun to my brother so he can play and i never seen that any where. i will definetly will return to this hotel.